So Gallio has been out for a little while and I admit that I am a little slow when it comes to looking at new frameworks. I mean there is so much to look at and only so much time in the day allocated to programming. 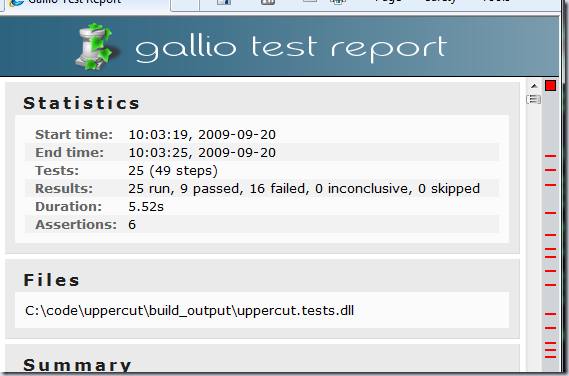 Anyway, there really isn’t much documentation out there yet for using Gallio with NAnt. I am of the thought that is due to all of the people who are really smart with builds are using Rake and/or PSake now. So I set off to create another universal script. This basically follows the conventions from my post with MbUnit’s Universal script and how I added MbUnit2 category filters to it’s NAnt task in UppercuT. So like I said, Gallio has been out for a little while. This is the first time I have heard that it has underwent some optimizations so now seems a good time to check it out. 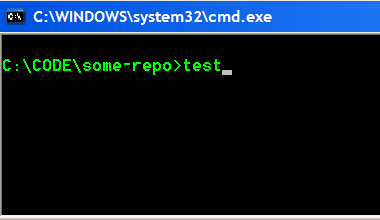 Until I figure out how to do it another way, this script requires Gallio to be installed on each machine that is going to use it. 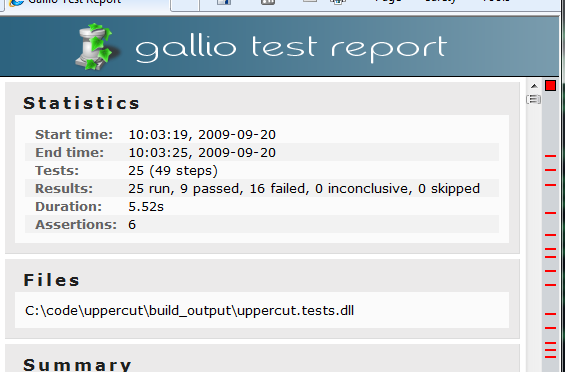 I am currently trying to figure out how I can get a reduced set of Gallio into source control. The install is 26.4MB right now and that’s bigger than I want my repositories to have to be just for adding a testing framework. filter="exclude Category:Database or Category:Integration or Category:Slow or Category:NotWorking or Categroy:Ignore or Category:database or Category:integration or Category:slow or Category:notworking or Categroy:ignore"
What pretty reports you get from Gallio!